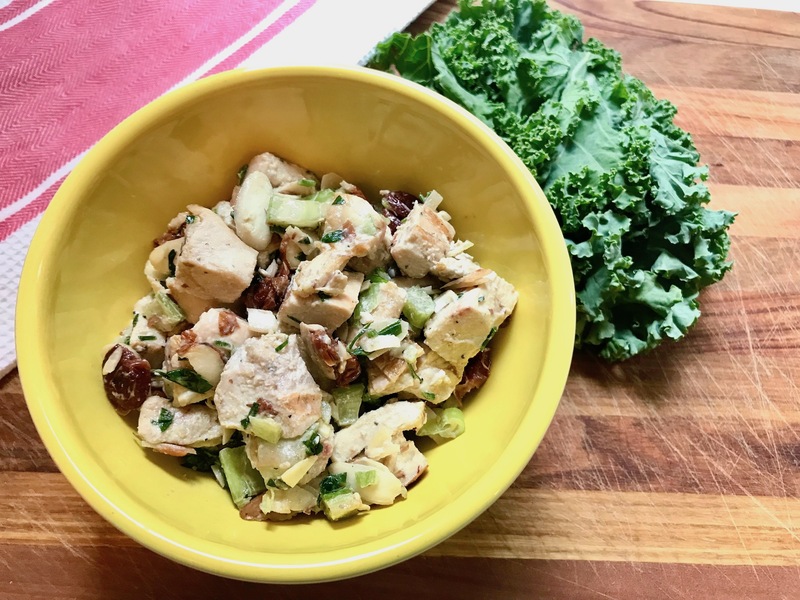 Chicken salad is one of my favorite and easy go to’s when it comes to snacking, lunch and even dinner. Especially when it’s free of goopy mayonnaise, but still super tasty and filling, like this easy no mayo chicken salad. I tried to keep this recipe as easy and fresh as possible, without altering taste and flavor (I did the best I could here with that!). I love the addition off the dehydrated fruit instead of the dried fruit– dried fruit ends up being a lot higher in sugar than when it’s dehydrated (water removed!). Try to focus on finding or making your own dehydrated fruit whenever possible. Instead of using mayonnaise in this recipe I used avocado for moisture and also to help make sure it still tastes like chicken salad! You can also use vegan mayonnaise instead, and you can also add your own favorite fruit/nuts/herbs and spices. Make this your own! Or make it as I have below– it’s pretty yummy! In a small to medium mixing bowl, combine ingredients- chicken, apple, celery, almonds, cherries, dill, salt and pepper. 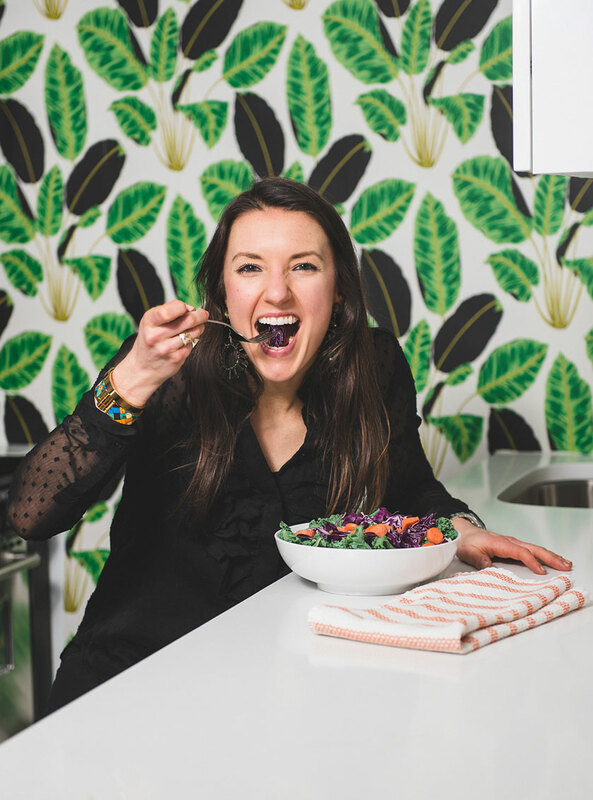 In a separate bowl, smash the avocado with a fork. Mix the avocado smash over the chicken and ingredients- and mix together with a spoon or a fork until well mixed. Add extra salt and pepper if you need for extra flavor, and feel free to add the lemon juice for extra flavor as well if needed as well. Serve the chicken salad over your favorite greens or on a sandwich, and enjoy!